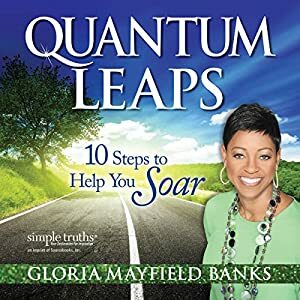 As one of the world's top salespeople for the Mary Kay Corporation, Gloria Mayfield Banks passionately inspires other independent consultants not just about sales, but also about leadership and how to achieve a balanced life that works for them. But life for Gloria didn't start out with success. Quantum Leaps shares how she overcame both personal and professional obstacles to achieve her dream one day at a time. By listening to Gloria's inspirational message and following her advice, you can learn to soar! "To keep a lamp burning, we have to put oil in it." - Mother Teresa. This simple quote says it all. Do you put oil in your own lamp? Take care of yourself, you have heard it before, but are you doing it? This audiobook will inspire you to take care of yourself to live a better life. Oil for Your Lamp is the perfect audiobook for women who want to glow, sparkle and shine! Mother Teresa said, "To keep a lamp burning, we have to keep putting oil in it." Most women are so busy filling the lamps of the people they love that they let their own lamps run low. They spend so much time and energy taking care of their children, husbands, aging parents, friends, neighbors, bosses, coworkers, and others, that they often neglect themselves. This new audiobook, Oil for Your Lamp, is about women learning to take care of themselves first - not last. 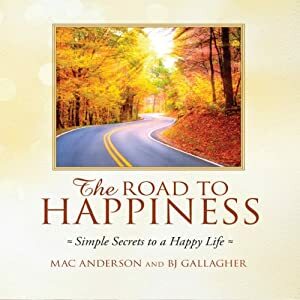 Written by Femail Creations catalog founder Lisa Hammond and inspirational author, poet, and storyteller BJ Gallagher, this wonderful new audiobook speaks to women of all ages, from all walks of life. Here at Simple Truths, we celebrate women who light up the world - and we want to lovingly remind them to keep their own lamps filled. 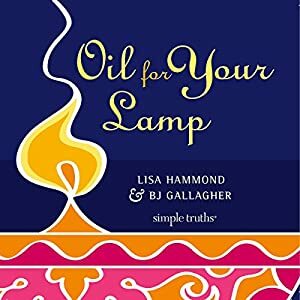 Oil for Your Lamp is the perfect audiobook for women who want to glow, sparkle, shine, and dazzle! We typically learn procrastination when we are kids, and we may continue to struggle with it our entire lives. What we often fail to understand is that procrastination makes a person ordinary (at best). We can't do our finest work at the last minute. Creativity is a process that takes time. The good news is that we can learn how to stop procrastinating - how to get assignments done right away. Nothing beats the satisfaction of having the project complete, the assignment thought through, the task done. 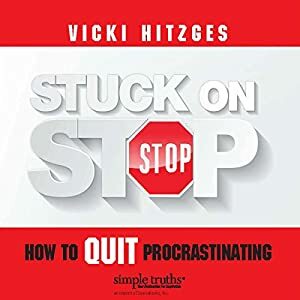 In Stuck on Stop, Vicki Hitzges shares strategies to get you going when you'd rather do anything but work. These guidelines only work if you do. And the payoff is great. 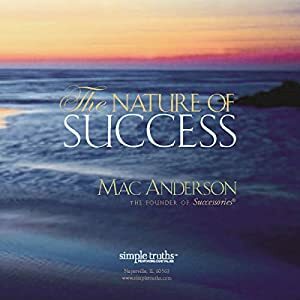 The Nature of Success is an inspirational audiobook of Mac Anderson's wisdom and insight on the keys to personal success. An inspirational quote will introduce each "success chapter" followed by two to three pages of insights, unforgettable real life stories, and Mac's favorite quotes on each topic. Anderson's insights take on new life as he brings a solid Christian perspective to The Nature of Success. You've heard of the Power of Positive Thinking. There's no doubt about it - the human mind is an amazingly powerful computer, capable of transforming our lives. But achieving what you want in life isn't accomplished by sitting in your comfy chair and visualizing all day long. Far too many people neglect to ACT on their own behalf in order to bring their dreams to life. As cosmetics company founder and CEO Estee Lauder put it so well, "I didn't get here by dreaming about it or thinking about it - I got here by doing it." 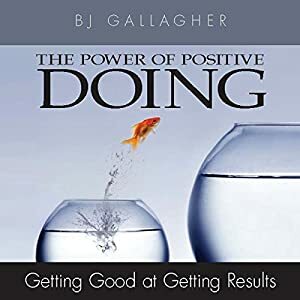 In The Power of Positive Doing, BJ Gallagher has captured the "secret" no one is talking about - you can actually change your thoughts and attitudes by taking positive ACTION, no matter what you're thinking or feeling! She calls it the The Power of Positive DOING - the title of her latest audiobook. B.J. is no stranger to Simple Truths' readers. The author of more than 20 books, including Friends, Oil for Your Lamp, and The Best Way Out is Through, her engaging stories and original poetry have put her on our best seller list. What's the secret to success? America's number one greeting card designer Kathy Davis shares seven simple secrets which catapulted her from creating cards in a corner of her bedroom to touching more than 100 million consumers worldwide each year. These principles can help inspire success in your life, making your journey creative, fulfilling and above all, your own. The Heart of a Teacher is a celebration of thanks to the teachers of the world. 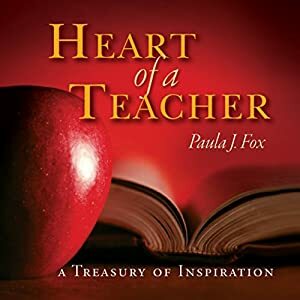 The Heart of a Teacher is filled with inspirational stories and poems that reflect the hearts of teachers and their commitment to making a difference in each life they touch. Mac Anderson explains why he chose to publish this book: "Part of my intention in publishing our gift book for educators, Heart of a Teacher, was to honor the teachers who had made a difference in my life. Ms. Bridges, who taught me in the 4th grade, was amazing! She made learning so much fun and made all of us feel as though we could do anything we wanted to do. Years later, I still remember the impact she made on me as a young child." 10 ways to make all your relationships great - Step up your investment in your relationships. From your spouse, children, and co-workers. Make the most of all your relationships starting now and be surprised at how your life improves. Cultivating high-performance teamwork is like growing a garden. We get out of it what we put into it. 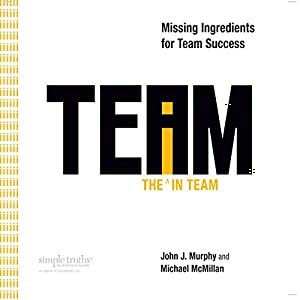 The i in Team challenges common misperceptions about teamwork and exposes the critical ingredients missing from many of today's teams, businesses, and organizations. In it, authors Michael McMillan and John Murphy show you how to experience a paradigm shift, transcending independent thinking and unleashing interdependent power. 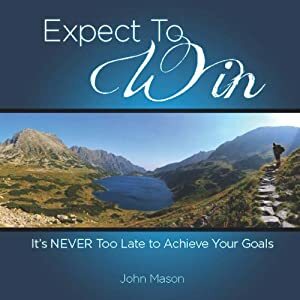 This audiobook will show you how to tap the unique potential, inputs, and talents of the individuals on your team, while creating more intrigue, involvement, and interaction among team members. In listening to The i in Team, you'll discover that not only is there an i in team, there are many. Think about it, a simple gesture of kindness can make a difference in your day, no matter how small the act. Thank volunteers for their kindness with this beautiful book. Promote the power of kindness in your work place or school. Not only does it make life more enjoyable, it is also good for you. Pass it on! Kindness is like a snowball that's rolling down a hill. Each unselfish act or word is another snowflake that greets the others...creating something much larger than itself in the process. I once heard someone say, "If you teach your children the Golden Rule, you will have left them an incalculable estate. " Truer words were never spoken. More than anything, the Golden Rule is about kindness. Kindness and honesty make you feel good about yourself and create trust in others. They improve your relationship with yourself and with others. It's not much in fashion these days to talk about the benefits of kindness, honesty, and decency, but the benefits are there and they are valuable and worth the trouble. In fact studies have shown committing acts of kindness is actually good for your health. A rush of euphoria, followed by a longer period of calm after performing a kind act, is often referred to as a "helper's high", involving physical sensations and the release of the body's natural painkillers, endorphins. This initial rush is then followed by a longer-lasting period of improved emotional well-being. Just hearing stories of other's acts of kindness will bring you joy and it is a wonderful message to share with friends or volunteers who have shown you kindness. Spread some kindness today...because nice matters! Parents work very hard to give their children what they desire. Whether it be the newest video game or the latest fashion, they strive to make their children's lives better. 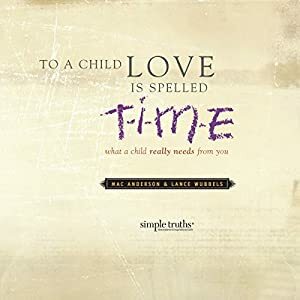 To a Child, Love Is Spelled T-I-M-E reveals the one thing children need the most is often in the shortest supply - their parents' time. The book encourages parents to make time for the things that are truly important. If your organization's goal is to create a lasting service culture, you're going to love Customer Love! 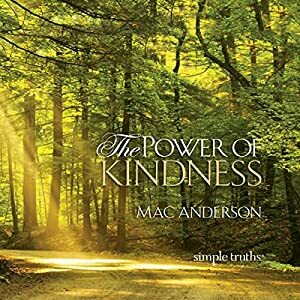 Mac Anderson has compiled a fantastic audiobook filled with unforgettable true stories about individuals and companies who have "wowed" their customers and turned them into raving fans! 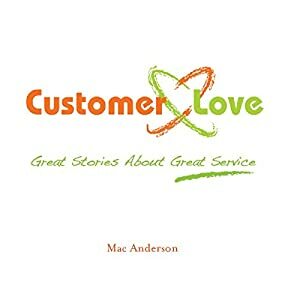 In Customer Love: Great Stories about Great Service you will explore 24 unforgettable stories about phenomenal customer service. Each chapter will ignite your thoughts and inspire new ideas that you can use to take your customer service to the next level. Share this audiobook with your employees and watch the creative ideas flow. Utilize the ideas behind these creative narratives to grow your business - and remember "if you do something good for one customer, they'll tell 100 other people." And...one choice can change your life. Think about that. One choice, just one, can change your life forever. Simply put, your life today is what your choices have made it, but with new choices, you can change directions this very moment. 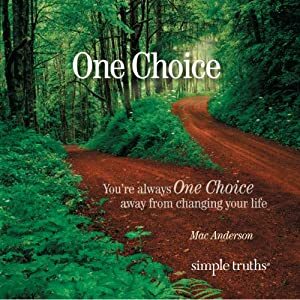 In One Choice, you'll meet people from all walks of life who made life-changing choices, whether it's switching careers, losing weight, finding financial freedom, adopting a child, giving back to others, and many more. I wrote the book with one goal in mind...to give people ideas and courage to choose better lives for themselves. When was the last time you were "wowed" by the service you received? Maybe you were "wowed" while buying groceries, resolving a problem with your bank, checking into a hotel, or flying across the country. Or maybe you were not. It seems that the secrets behind world-class service are often just that - secrets! 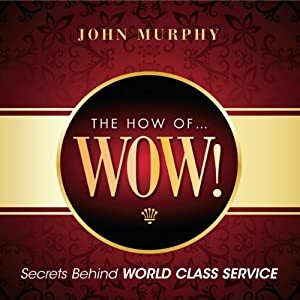 But in The How of Wow!, award-winning author John J. Murphy shares 10 secrets behind world-class service. This is a book about creating raving fans - customer advocates who go out of their way to spread the good word about the experiences they have consistently had with you. John shows us to make "wowing" customers the rule, rather than the exception. If you want to reach for success in every area of your life, the most important asset you can have is a faithfully optimistic, winning attitude. 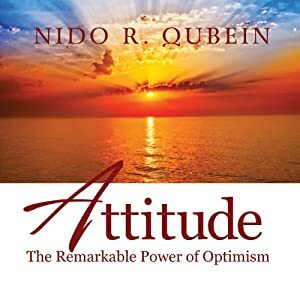 In his latest audiobook, Attitude: The Remarkable Power of Optimism, Dr. Nido Qubein shares the treasure trove of wisdom he has accumulated about the power of attitude. He came to this country at age 17, with little knowledge of English, no money, and no connections, but with the attitude that if you work hard enough and smart enough, you can make good things happen in your life. Today, he's one of America's most sought after speakers and the President of High Point University. Now in Attitude: The Remarkable Power of Optimism, Dr. Qubein shows you how a positive attitude can transform your life, too. Whether you reach success or failure in life has little to do with your circumstances; it has much more to do with your attitude...with your faithful courage...with your choices! 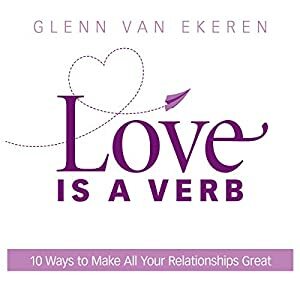 Everyone could benefit from the simple lessons in this audiobook. 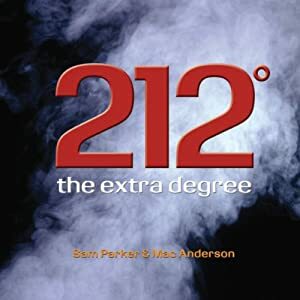 Twenty-one short chapters detailing aspects of a happy life, from having "An Attitude of Gratitude" to "Making Peace with the Past". Filled with poetry, stories, and photography to brighten any day and cause reflection over the little blessings in life. If you can't find happiness inside yourself, you'll never find it in the outside world, no matter where you move. Wherever you go, there you are. You take yourself with you. This is the essence of happiness - learning to find inner contentment in any situation. B. J. Gallagher and Mac Anderson have teamed up again to put out another fantastic gift audiobook. This audiobook is an easy listen detailing the collective life wisdom of the two authors. The Road to Happiness will make a great gift or addition to your own personal library. 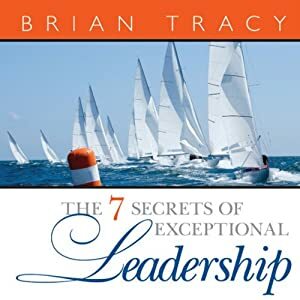 In The Seven Secrets of Exceptional Leadership, Brian shares seven timeless truths that have been discovered and rediscovered again and again over the centuries. Leaders are made, usually self-made through work on themselves, not born. Your ability to take charge, to lead, to get the best out of yourself and others, is vital to your achieving your full potential in life. 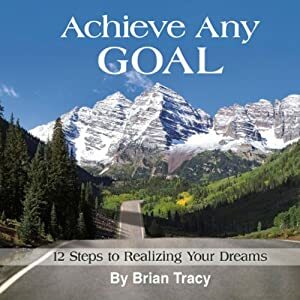 Brian Tracy is one of America's leading authorities on development of human potential. He speaks to over 250,000 people a year, and is also a best-selling author who has written 25 books. 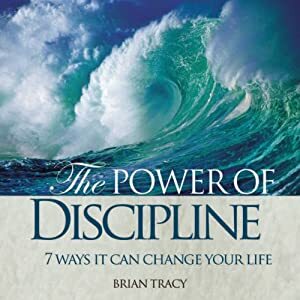 He has written this audiobook on what he calls the number-one key to success: Self-discipline. The Power of Discipline is sure to become a classic on this all important topic. It's about how discipline alone can be the difference between winning and losing; between greatness and mediocrity. Do you believe that time has passed you by, your best days are behind you, or you'll never have another great opportunity? That somehow you've failed too many times to have another chance? Nothing could be further from the truth. In this audiobook you will find 36 ideas that will help you move decisively toward your purpose. So, don't look back, a new fulfilling journey is about to start. Green Beans and Ice Cream? At first glance, they don't sound like they go together. But this groundbreaking new audiobook from author Bill Sims, Jr. will change forever the way you deal with your family, customers, coworkers, students, and yes, even your spouse! In Bill's 30 year history, he has helped design more than a thousand behavior change systems that have produced tremendous gains in performance and profits at America's top companies including Disney, Coca-Cola, McDonald's, General Motors, and Dupont. Hidden in this audiobook you will find Bill's "secret sauce," and the recipe for rapid, sustainable behavior change and engagement - Positive Reinforcement (PR+). The audiobook explains why positive reinforcement is one of the most powerful forces on the planet. Use it wisely, and performance moves off the chart. Use it poorly, and the results can be disastrous. 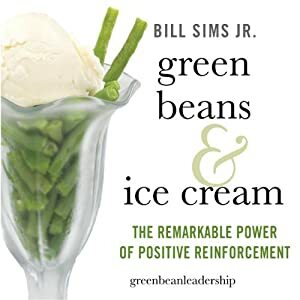 Green Beans & Ice Cream analyzes over 100 years of research in the field of human behavioral science, and compares it to "real world, in the trenches" true stories that Sims recounts. It points out clearly that the thing we need the most, is the thing we often receive the least-positive reinforcement and feedback from those around us. Using the techniques outlined in this audiobook, you can master the remarkable power of positive reinforcement, and make a real difference in the world around you. This audiobook is for everyone who must lead others. Whether in the family, the school, or the workplace, it is a must for anyone who wants to improve the performance of their team. With this first audiobook, Sims has dropped a stone in the still pond of leadership. The waves will only get bigger. 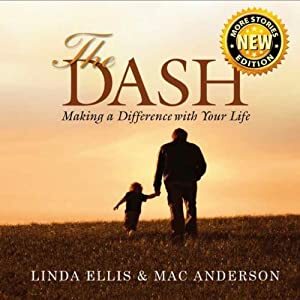 When Linda Ellis wrote her poem, "The Dash", in one afternoon twelve years ago, it would change her life forever. In 239 words, she captured the "Simple Truths" of why we were put on this earth. Since then, The Dash has been published hundreds of times in books, newspapers, magazines and company newsletters. It has also been read countless times at company meetings, graduations and funerals. In the last three years, Linda has received over one million e-mails thanking her for writing The Dash, and asking the question... Where can I get a copy? Now you can! 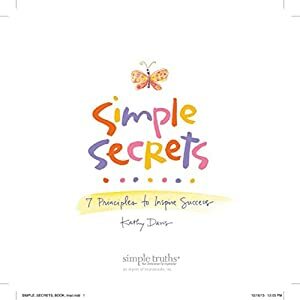 Simple Truths proudly presents this classic poem in a beautifully narrated audiobook. To your customers or your employees, give the gift of inspiration. It'll be one that keeps on giving. 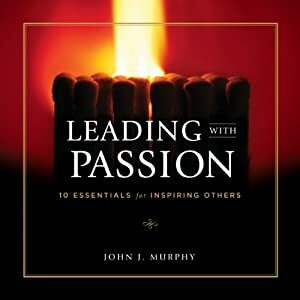 An inspiring audiobook from best selling Pulling Together author, John J. Murphy! Effective, passionate leadership requires many things. In this audiobook, we cover ten essentials. Every manager, CEO, school administrator and principal should listen to this audio. Leaders are like magnets. Their magnetic field is invisible but is responsible for the most notable property of a magnet: a force that pulls and attracts or repels. Which type of magnet are you? Light a match in a dark room and watch as the light instantly overcomes the darkness. Observe the power and grace of that single, solitary flame dancing with life. Now light several candles or kindle a fire and experience the added warmth and comfort extending from that first, vulnerable flame through others. This is the heart and soul of leadership - the essence of inspiring others. John J. Murphy, author of the best-selling book on teamwork, Pulling Together, follows up this best-seller with a leadership audiobook like no other. Learn the 10 essentials to inspiring others and you will find that not only are you performing better has a leader, but your team is sharing your vision and following your lead to ultimate success. Steve Siebold uncovers the "mental toughness" secrets of champions. You can learn them, too, and start dreaming bigger and achieving more. 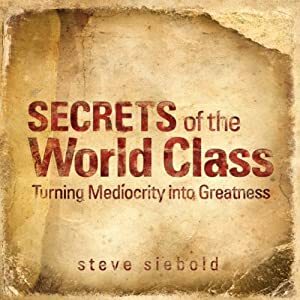 In Secrets of the World Class, Steve Siebold's shares his 20-year journey of studying peak performers and discovering the link that makes them champions. Each chapter finishes with an "Action Step for Today" that leads you down the path from mediocrity to greatness. Loaded with ideas you can immediately put into action to catapult yourself from mediocrity to greatness. Applications for use in business as well as athletics. Steve's straightforward, tell-it-like it is style, cuts to the core of what it takes to go from middle class to world class.